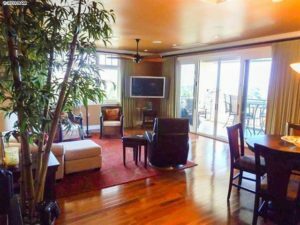 Just listed a few days ago and in time for the influx of winter visitors, Wailea Town Center D201 offers awesome unobstructed ocean views of Makena, Molokini, and Kahoolawe. The views from the this well laid out and spacious unit are easily the highlight of the entire unit. As a top floor and corner unit, the views are maximized from its front row location. Offering a total layout of 1616 sqft, 2 bedrooms, 2 bathrooms, and a large lanai just off of the living room, this unit is perfect for entertaining or relaxing. Wailea Town Center living offers a unique lifestyle in the heart of the action, just minutes to World Class beaches, dining, and shopping. With 9 foot ceilings throughout the entire unit, the extra high ceilings and another dimension to the design of the unit. 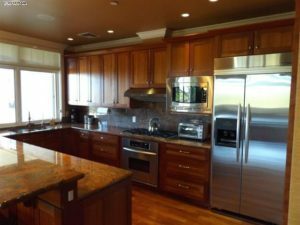 High end finishes include: Honduras Mahogany wood, travertine floors, cherry shaker style soft-close cabinets, top of the line appliances, crown moldings, solid wood doors, Grohe fixtures and multi-zoned air conditioning. At this time, this is the only listing in the entire complex and it will certainly attract the attention of buyers looking for a low density and seemingly empty feel. With a minimal amount of units in the entire Wailea Town Center, inventory is virtually non existent as only a 2-3 of these units come to market in a year. It isn’t atypical for this condo to see zero units listed or sold in any any given year. 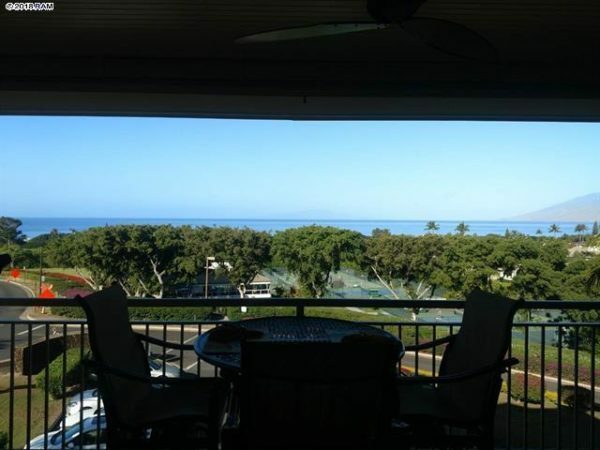 The condo is highly regarded by many because of its private location, value, and ocean views. 2017 saw no sales, while we have to go back to the summer of 2016 for the last time a unit was sold beside the one in 2018. The complex was completed a little over a decade ago, so there is some turnover data available. To get a better idea of how the units have appreciated over the years, check out our Wailea Town Center sold data. 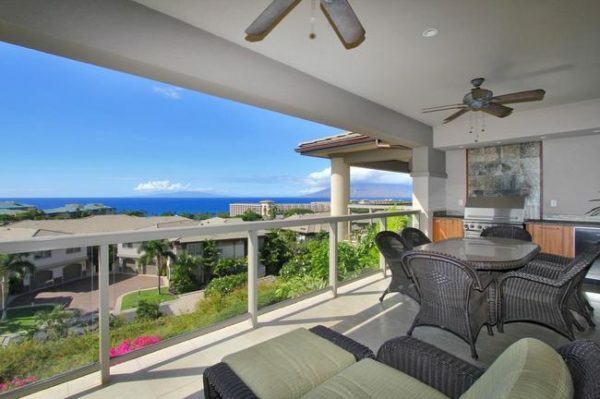 If the particular unit above didn’t catch your eye, then up to date with our Wailea Town Center new listing email alert.